NEW YORK — Puerto Rico Governor Ricardo Rossello flew to New York this week on a mission: persuade potential tourists that the hurricane-ravaged island was ready for their return. 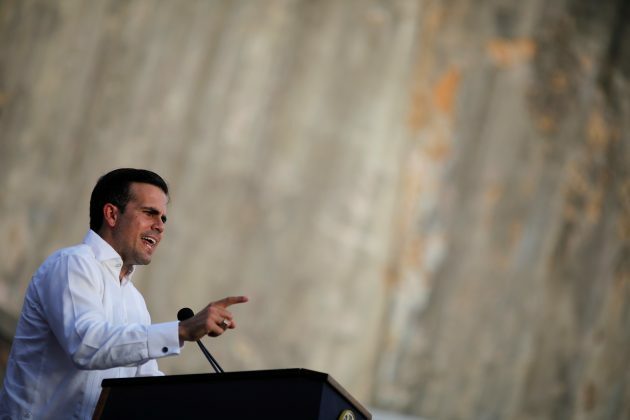 But Puerto Rico’s recovery from last year’s Hurricane Maria has been a “mixed bag,” Rossello told Reuters on Thursday, acknowledging that the bankrupt U.S. commonwealth, while improving, is far from out of the woods. Puerto Rico has received only a small fraction of the federal funding it needs to get back on its feet, Rossello said in a 75-minute interview, and getting access to the rest could take more than a decade. His administration estimates that fixing Puerto Rico fully will require $139 billion, but the federal government has earmarked only about $60 billion to $65 billion for the recovery, he said. Of that, only about $3 billion to $4 billion has actually flowed into the island’s coffers. Obtaining the remainder could take 10 to 11 years, he said, adding that his team is lobbying the U.S. Congress for more money. Compounding the problem is Puerto Rico’s bankruptcy in U.S. federal court, where it is trying to restructure $120 billion of debt and pension obligations. There are also ongoing spending disputes between the government and a federally appointed fiscal oversight board. In the year since Hurricane Maria, Rossello has at times been diplomatic regarding the federal government’s response, while at other times – especially lately – adopting a more critical take. He has also been criticized for sticking with an estimated death toll of 64 early-on, when strong evidence suggested it could be higher. A government-commissioned study by researchers at George Washington University eventually pegged the toll at around 3,000. “So yes, I have opted for a path that involves dialogue, that involves collaboration,” Rossello said, adding that he has not been afraid to be critical. Rossello said Puerto Rico still has as many as 60,000 homes with temporary tarp roofs. It also has hundreds of thousands of informally constructed homes with many owners lacking title to their property. Rebuilding will require the current ranks of about 45,000 construction workers to grow to 130,000, according to Rossello, who recently signed an executive order increasing the minimum hourly construction wage to $15 despite opposition from the oversight board and the private sector. The island’s government is still considering initiatives that could make the island’s troubled electricity grid more resilient, Rossello said. Ultimately, the island hopes to generate 40 percent of its electricity from renewables and steer away from fossil fuels. The shift would require a new regulatory policy, approval by the bondholders, and, potentially, investment from outside companies or organizations. “We have received 10 to 12 unsolicited proposals for generation,” he said, while acknowledging the government has yet to find a private operator for the power utility’s transmission and distribution operations. But changes at the electric agency known as PREPA, which Rossello called one of the most troubled organizations in modern history, will be gradual. The governor said he is working with a search firm to identify outside board members for the utility, after nearly the entire board quit in an uproar over appointment of a new CEO. Limited electricity was a major problem for the island’s small business sector, according to a Federal Reserve Bank of New York report on Thursday. A survey of more than 400 businesses with fewer than 500 employees found 77 percent suffered losses as a result of hurricanes Irma and Maria. Meanwhile, Rossello is trying not only to restore tourism, but to expand it in such a way that it incorporates hundreds of square miles of seaside and mountain communities that are largely unvisited. Puerto Rico’s tourism is small compared with other Caribbean locales and tends to be centered in San Juan. The island’s visitor lodgings hit a 2017 high of 204,025 in July, but fell to just under 30,000 in October following the hurricanes, according to Puerto Rico Tourism Company data. Convincing tourists to leave the capital, though, will require easier travel. “Puerto Rico should be a multi-port destination,” he said, discussing plans to beef up airport capacity in the south and west of the island. Rossello pointed to so-called chinchorreos as a possible draw, events in which Puerto Rican foodies move from one inexpensive eatery to the next.